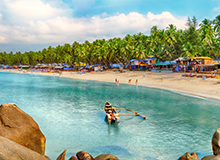 An exotic emerald on the west coast of India, Goa is fun in every sense of the word. The sunny beaches, offering umpteen opportunities to relax, indulge in watersports and just look at captivating horizon, are its biggest draws. 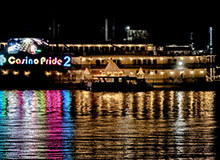 Further, its lively nightclubs make it an absolutely irresistible destination for any traveler. Due to its extreme popularity on the tourism chart, Goa offers a number of budget accommodation options. 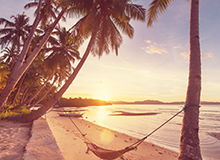 Vacationers can pick from economy hotels in Goa, bed & breakfast and luxury beachfront resorts depending on their choice. Resorts and hotels near Goa beaches score the highest among tourists owing to easy accessibility, panoramic views and various leisure amenities. Like in 35+ other destinations, FabHotels has hotels in Goa as well near some of the most popular beaches including Ashwem, Morjim and Candolim. Among the most preferred budget hotels in Goa are FabEscape Ashvem Beach Resort, FabHotel Prime The King's Court, FabEscape Arabian Sands Beach Resort and FabExpress La Flamingo. All our hotels in Goa are located close to beaches and are well-appointed with modern amenities. They are also very well reviewed across various online customer portals. In addition, tourists can go on museum hopping to get an insight into the heritage of the state. Museum of Goa, Museum of Christian Art and Goa State Museum are some of the most popular museums in Goa. There are many pocket-friendly hotels in Goa that are located close to these attractions and other prominent landmarks, such as FabHotel Prime Sarala Crown. While there are a lot of things to do in Goa, don't miss out on a Dolphin-watching Cruise amidst gleaming Arabian waters. The cruises usually run from Sinquerim, Fort Aguada or the Panaji Jetty. 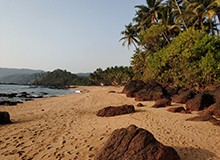 The typical Goan parties and festivals also draw a lot of fun-loving tourists. Although Goa Carnival (held in February every year) remains the most loved of them all, Grape Escapade also adds to the list. 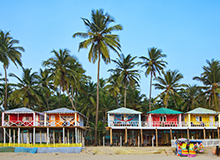 This wonderful avenue for the beach lover, the explorer, the backpacker, the foodie, the group of students on a budget or the honeymooners is full of dining and shopping options in Goa. 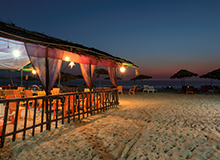 Travelers can get a true flavor of Goa by exploring shacks near Anjuna Beach and Baga Beach that offer scrumptious seafood and beverages. While fresh fish can be bought from the well-known Chapora fish market, the famous cashew feni is available in Margao. Sampling a typical Goan lunch at spice plantations also becomes mandatory on a Goa tour. The most widely served dishes in these cafés and restaurants in Goa include French toasts, pancakes, pork vindaloo, Goan fish curry, pork cutlets and chicken xacuti that never fail to impress visitors. It is not difficult to reach Goa as it is connected through all modes of transport. By Air: The only airport in Goa, Dabolim Airport or Goa International Airport lies approximately 25 km from Panaji. By Train: The state has three main rail stations, Margao, Thivim, and Vasco-da-Gama that host frequent trains from Mumbai, Bangalore, and other major cities of the country. By Road: Those who are planning to reach Goa by road can come via National Highway 17 which links the state to neighboring cities. Why book FabHotels in Goa? The biggest advantage of staying at FabHotels in Goa is that these offer you luxury facilities like swimming pool at budget prices. You can even plan an outbound business trip in state as many of our hotels offer conference facilities and banquet hall. You can book hotels in Goa directly on FabHotels' user-friendly Android/iOS app or website. Further, by becoming a member of our A-List loyalty program, you can earn points with every booking that bring with them exciting rewards. "Great room...the staff was too good and friendly...the front office guys was very friendly"
"We were pleasantly surprised by this hotel - the room was recently refurbished and looked very neat and clean.Food of hotel was very Good and we enjoyed it a lot.I recommend this hotel to everyone, who is looking for a good stay, good food and great hospitality"
"The price was great and the location was perfect. Very clean and comfy. Love the flooring Highly recommend. Loved the stay"
"It’s a great place to stay.... Staff were friendly caring and pleasant, starting from the reception. Meals are very good and delicious..."
"It was a great experience...the stay was very peaceful...the staff..food..and cleanliness was nice..the front off boys were very helpful like our frnds...I will definitely come here next time with my frnds and family"
"perfect location,the hotel is clean and provides u great hospitality.The hotel owner is very helpful and will guide u throughout your stay.The staffs were very helpful.The hotel provides u almost every facilities and food was really great...wen i say food was great(i mean it :))Overall experience was awesome.I'll recommend dis hotel to every couple and families:). You wont regret,just be there:)"
""Well maintained place with a very good and helpful staff. And fabulous rooms"
"One of the best places I’ve stayed at in a long time. The rooms are very clean and look wonderful." "Its really great stay at fabhotels.. Fabulous room and good food. I had great fun"
"It was awesome experience ...the staff.. the rooms...it was great nature.. specially the front office boy it was good coordination...good nature.."
"Our 5 day experience at FabExpress was fantastic. Though the new staff did forget a thing or two, the courteous staff, especially Pankaj made sure we were comfortable at all times. The cook Maasi, made delicious veg and non-veg and after day two we decided to have our dinner at the hotel itself instead of trying new cafes and restaurants. It was a good experience overall. Will definitely visit again. P s.- The hotel has a great location." "I had a great stay in fab hotels. Rooms are very clean even food is nice. Im very happy by the service." "Rooms are fab. Well maintained hospitality l. I highly recommend the hotel for locals and foreigners." "Great as always my best hotel... forever..the staff is awesome"
""Well maintained place with a very good and helpful staff!!"" "I had nice stay everyone one is helpful we will definitely like to come again thanks to Fab for making our holiday remarkable"
"I had 3days 2 night stay at this hotel rooms are very clean very polite staff and any request are taken care off very fast. Staff has good knowledge of the are and will guide you. Only thing to look for is the check in and check out time. Do call before booking. Other than that everything is near to this hotel beaches, rental byke and restaurants..."
"Fab hotels are fabulous. Super Deluxe is best choice for the size of room." "Awesome scenic beauty. Chilling weather. Fatastic palce for travel. Excellent place to stay. One of my best expedition." "Amazing service, quality rooms, great breakfast, wonderful" ..."
"Rooms are good and hygiene. Nice experience and good staff"
"Freindly and very helpful people. I really enjoyed my stay over here." "Stay was very good.great location near to vagator beach peacfull place i will be viste again"
"Nice place,very good staff,rooms r maintained very clean.."
"Good staff. Good clean rooms and great location loved iy"
"Great staff they were very helpful to us. Food was very good. I wish we could stay longer"
"I had a great stay at fabhotels. Loved the place and room service"
"Great..good rooms , good friendly staff...good service"
"Had a great stay in fab near to arambol beach fantacy resort location is very good and value for money"
"Great place to stay bear Vagator Friendly staff Specialy Mr.DYANESH take care about one of family member.Great place to stay near Vagator. Awesome rooms with attached Living area, refrigerator, Dining table..."
"Great experience with fab. Nice hotel and room service too. Room are clean and neat .nice breakfast delicious.thanks for everything .iswar thanks for your help. Dnyanesh he is amazing every time he ready to help thanks keep it up......"
"Very nice hotel . Neat and clean room .room was good and big . thanks for your service I will choose this for my next trip.ranjan was very helpful for us.thanks Fab and dnyanesh to make our stay Fab......"
"It was like our home.. good staff...good place..rooms... Never thought that we are in hotel.."
"Good experience@fab hotel Dewa Goa. I recommend this to all"
"Great location near to vagator beach peacfull place had a wonderfull stay in fab cottages goa"
Q:Which are the must-see places to visit in Goa? A: Basilica of Bom Jesus, Se Cathedral, Baga Beach, Anjuna Flea Market and Fort Aguada are the must-visit places in Goa. Q:Can unmarried couples stay in hotels in Goa? A: Yes. Please check out all hotels in Goa for unmarried couples here. Q:How do I book hotels in Goa near beaches? A: FabHotel makes it easier for you to book your preferred hotel near the several beaches. For hotels near Calangute Beach, just type the beach name in the "Let’s Get Started" section on our homepage or simply click here for hotels near Calangute Beach. Similarly, if you are looking for hotels near Ashwem Beach, then FabHotel Ashwem Beach resort is the best option near beach. The must-buys at the markets in Goa include ethnic handicrafts, jewelry, clothes, seashell artifacts and sausages. Q:Do you have any mobile app for hotel booking in Goa? A: Yes, we have a Goa hotel booking app for Android and iOS platforms. Our Goa hotel booking app offers seamless booking experience, quick and safe transactions, and a range of deals and discounts. Search for FabHotels hotel booking app in Google Playstore or App Store today to save on 400+ hotels pan-India. Q:Which are the top night clubs in Goa? 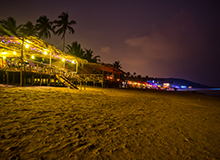 A: Goa is known for its pubs and nightclubs that serve the wackiest of cocktails and host the most entertaining of DJs. 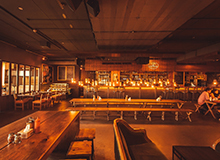 Silent Noise Club, Club Cubana, Tito’s, SinQ Night Club, Cafe Mambos, LPK Waterfront, UV Bar, Cape Town Café and Shiva Valley are the top nightclubs and pubs in Goa. Q:Which are the 5 top beaches in Goa? A: Goa is home to numerous beaches where you can lay back, rest under palms, play with the waves, take a walk or build sand castles. The top 5 beaches in Goa are Ashwem Beach, Baga Beach, Calangute Beach, Candolim Beach and Vagator Beach. Q:Which are the hotels in Goa with a budget of 1500? A: FabHotels provides comfortable accommodation at numerous hotels in Goa, all of which come in the 4-Star category in your desired budget. You can book a room at FabHotel All Seasons, FabHotel Lands End and FabHotel Ashvem Beach Resort. To save further on accommodation, you can check out the exciting offers that we, at FabHotels, come out with from time to time. Offering everything from the latest fashionwear and designer trinkets to delicious sausages and ethnic artwork, Goa is a shoppers’ paradise. Anjuna Flea Market, Mapusa Market, Panjim Market, Calangute Market Square, Mackie’s Night Bazaar, Ingo’s Saturday Night Bazaar and Baga Market are the best places to shop in Goa. Q:Which are the most popular eating joints / restaurants in Goa? 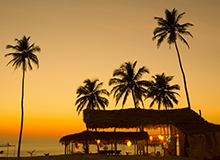 A:Goa is home to fine-dining restaurants, hip cafes, beach shacks and bars that offer a range of dishes. Upper House, Hotel Venite, Tuscany Gardens, Bhatti Village, Mum’s Kitchen, A Reverie, Alex Beach Shack, La Plage and Thalassa are the top restaurants in Goa. Q:Which are the Off beat activities in Goa? 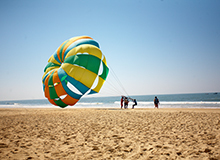 A:Apart from beach hopping and partying at clubs, there are loads of off-beat activities people can try in Goa. These include capturing butterflies, touring spice plantations, catching crabs, kayaking on backwaters, tasting wines, exploring underwater shipwrecks, and seeing crocodiles, dolphins and birds. Q:Which are the recommended family hotels in North Goa? A:You can enjoy a comfortable stay with your family at FabHotels in Goa. FabHotel Sarala Crown and FabHotel Arotel are the best hotels in North Goa the state to stay with family. Q:Do hotels in Goa provide complimentary breakfast? A:Yes, FabHotels offers complimentary breakfast every morning at each of its hotels in Goa.